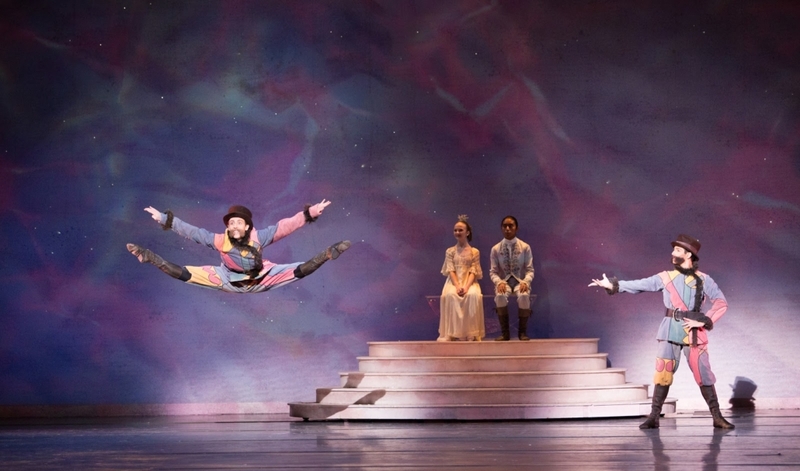 What is The Nutcracker Ballet About? 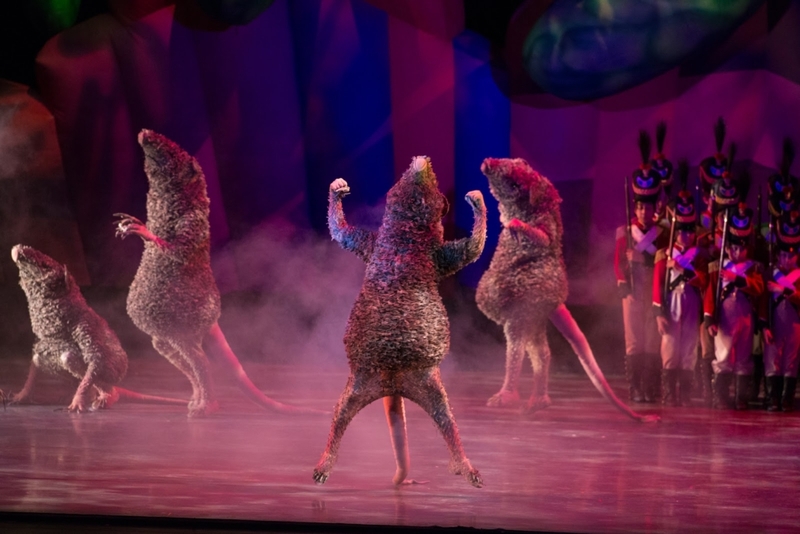 The Nutcracker ballet is based on two tales: The Nutcracker and the Mouse King by German author E.T.A. Hoffman and a French version of this tale, The Nutcracker of Nuremburg, written by Alexander Dumas Pere. Although there are many versions of the original story, the plot remains relatively the same. A young girl dreams of a Nutcracker Prince rescuing her during a battle with large mice and whisking her away to the magical land of The Sugar Plum Fairy. Ballet Arizona is proud to present a $1.8 million production of The Nutcracker created specifically for the Company. Read further for the synopsis of Ib Anderson’s New York Times critically acclaimed production. The Nutcracker Ballet begins with Herr Stahlbaum and his wife throwing a Christmas Party inside their home. As the guests arrive, Clara and Fritz (their children) are there to greet each one. After what seemed like the last guest had arrived, parents began passing out toys to the eager-faced children. Suddenly, Dr. Drosselmeyer mysteriously arrives. He gathers the children and entertains them with his magical tricks and wind-up dolls. The kids are thrilled! Soon thereafter, Dr. Drosselmeyer presents Clara with a special gift…a wooden nutcracker. Fritz, Clara’s brother is outraged. In a jealous fit, he breaks it. Dr. Drosselmeyer fixes it right away. After the party is over, Clara falls asleep but awakens as a mouse runs through her room. She is frightened and unsure about what is happening. As soon as the clock strikes midnight, the room fills with giant mice who begin attacking Clara. Thankfully, life-sized toy soldiers, led by the Nutcracker, come to her rescue. The Mouse King and the Nutcracker engage in battle. Quick-thinking Clara picks up her shoe and hits the Mouse King, defeating him. The Nutcracker has won! After the battle, the Nutcracker transforms into a handsome price. Clara is rewarded with a crown and a visit to meet the Snow Queen and King because of her bravery. She then is sent on a journey to the Land of the Sugar Plum Fairy in an enchanted sleigh. 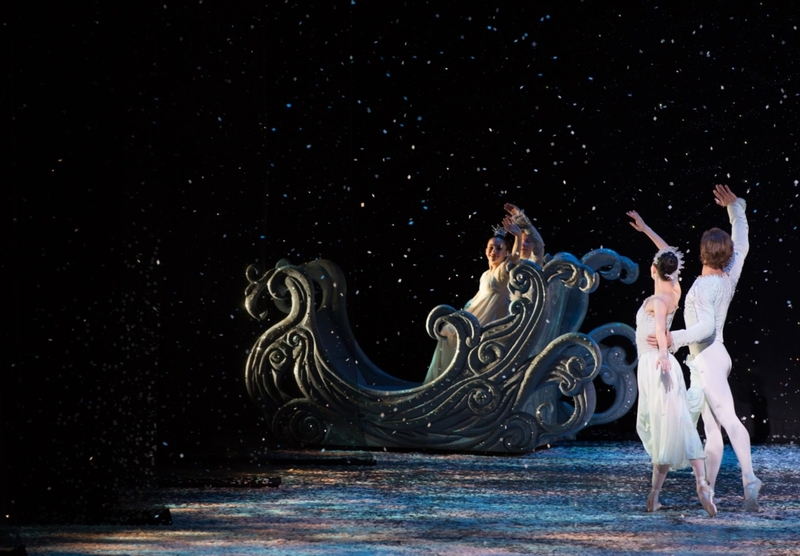 The Sugar Plum Fairy meets Clara and welcomes them into her kingdom. After the prince tells her of Clara’s brave defeat of the Mouse King, the Sugar Plum Fairy throws them a party. Clara and her prince are entertained by enchanting dances including Spanish Chocolate, Arabian Coffee, Chinese Tea, and Russian Trepak as well as a glittering performance by the Dew Drop Fairy and her Waltzing Flowers. To top off the night, the Sugar Plum Fairy and her Cavalier dance for their guests. Suddenly, Clara awakens in her room. She looks around and realizes it was all a dream as she stares down at her Nutcracker in her arms. Don’t miss Ballet Arizona’s The Nutcracker, with the live music by The Phoenix Symphony, at Symphony Hall Dec. 13th-24th! Click here to purchase tickets.